The VDO M6 is a true all-rounder, offering all bike functions plus comprehensive altitude measurement in a single device. The three channel data transmission between the cycle computer and the sensors is entyrely wireless and uses automatic pairing. The core feature of the VDO M6 is the barometric altitude measurement with numerous functions. 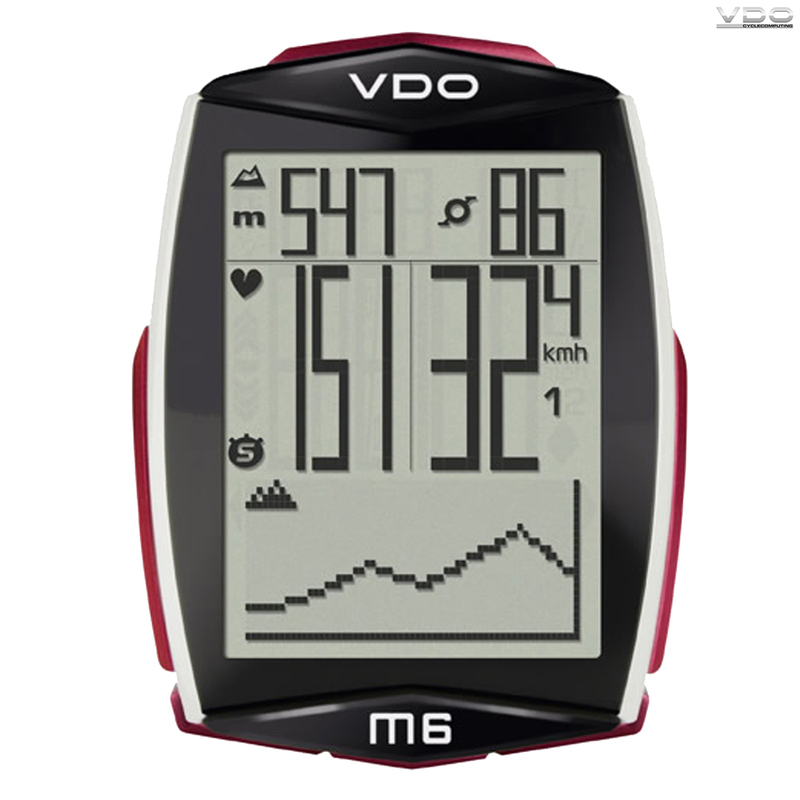 The VDO M6 uses state-of-the-art technology and provides a broad range of altitude data: current and maximum altitude, current, maximum and average gradient uphill, altitude gain and loss, distance uphill and downhill, maximum and average gradient downhill, as well as annual profile can also be displayed in graph format on the large, easy-to-read display. The altitude is calibrated either by entering the current altitude or by means of barometric air pressure. The cadence kit further expands the VDO M6's functions to display the current, average and maximum cadence. The top model VDO M6 offers all the technical innovations incorporated into the new VDO M-series. One particular highlight of the VDO M6 is the integrated data memory for 10 trips. This makes it possible to compare the values for several rides and draw conclusions about the training sessions completed.